Our unique non-woven polyester element is independently tested to filter out 98.6% of airborne fine dust in initial efficiency, with an industry leading cumulative efficiency of 99.4% (cumulative efficiency is the average for the test cycle). 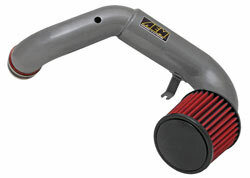 AEMâ€™s V2 intake systems use a patented dual chamber design to produce the most power and torque of any other intake system availableâ€”even our own Cold Air systems. BLOX Racing billet throttle bodies are currently available for the Acura D, B, and H-series engines. BLOX Racing billet throttle bodies are currently available for theAcura D, B, and H-series engines. 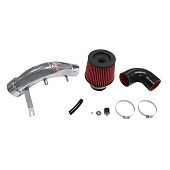 DC Sport air intake systems provide the best of both worlds in heat protection and improved breath-ability. Every kit includes an air filter that requires no oil, therefore no chance in contaminating the mass air flow sensor which can result in loss of power and higher fuel consumptions. Injen High Performance Air Filter - 3.5"
Injen High Performance Air Filter 3.0"
K&N Drop-In High-Flow Air Filter: K&N Replacement High-Flow Air Filters are The Original High-Flow Air Filter. 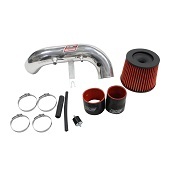 Built for performance and show, the K&N Typhoon Air Intake System is a free-flowing mandrel-bent aluminum tube induction system designedÂ to increase horsepower and torque.